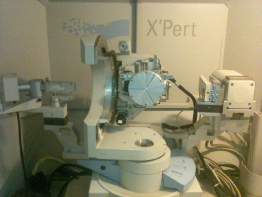 The first one is a 4 circle diffractometer with a copper anode, it is a Panalytical X’Pert MRD product. It is used for diffraction and x-ray reflectivity, on thin films and on powders as well. The second one is a Rigaku Smartlab product. The system incorporates a copper 9.0 kW rotating anode generator and a five axis goniometer. 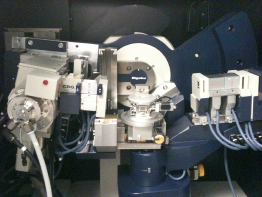 It allows high resolution measurements and in-plane diffraction.